Welcome to the web pages of the Salina Bible Church. The Salina Bible Church is an independent, Bible-teaching church, located approximately 6 miles south of Apollo, PA at the intersection of routes 819 and 981. In 1877 Salina had just 150 inhabitants but no church. 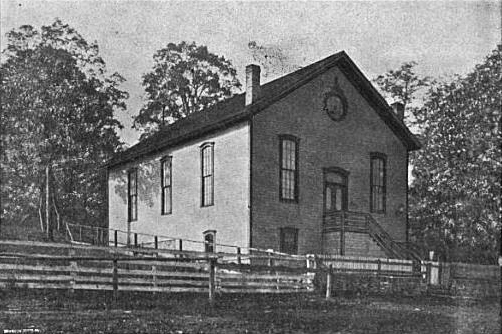 However, as all felt the need of church privileges, meetings were held at Duffield's School House, which resulted in the organization of the Reformed Church of Salina, with 24 members. At first they fitted up the second story of an old saw mill, in which services and Sunday School were held regularly for three years, Rev. John McConnell being pastor. Then the property changing hands and the doors being closed to the Reformed people, the congregation for a time died. In 1885 a meeting was again held in the same school house and committees appointed to revive the corpse. A lot was procured from Rev. CcConnell, which cost the congregation but $15.00, on which the church stood. The corner stone was laid September 30, 1895, and the building dedicated March 14, 1886. The first pastor after the re-organization was Rev. W. M. Andrews, who served them two years, less one month. In 1905, the bridge crossing the Kiskiminetas River from Salina to Edmon was destroyed by ice. For more than 2 years services were held in the Edmon school house as well as in Salina until a new bridge was constructed.